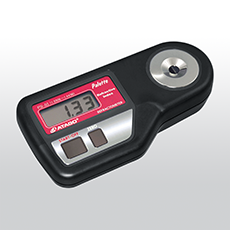 Product information "ATAGO PALLETTE PR-RI"
The Palette series are digital refractometers which are dedicated to specific applications withÂ high accuracy. PR-RI is suitable for various raw materials and chemicals (refractive index). Related links to "ATAGO PALLETTE PR-RI"